Contains 467 original line drawings! 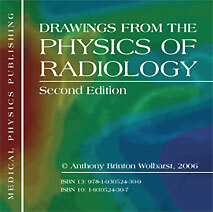 Contains all of the figures found in Physics of Radiology, Second Edition, and is a great companion piece for instructors to use with the book. Produced in PowerPoint, this is a useful tool when lecturing on various aspects of radiology physics. PC and Macintosh compatible.